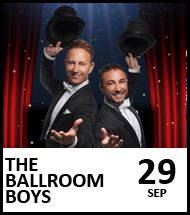 Simply Theatre are delighted to return to Camberley Theatre for the second time after their sell-out show in 2017. 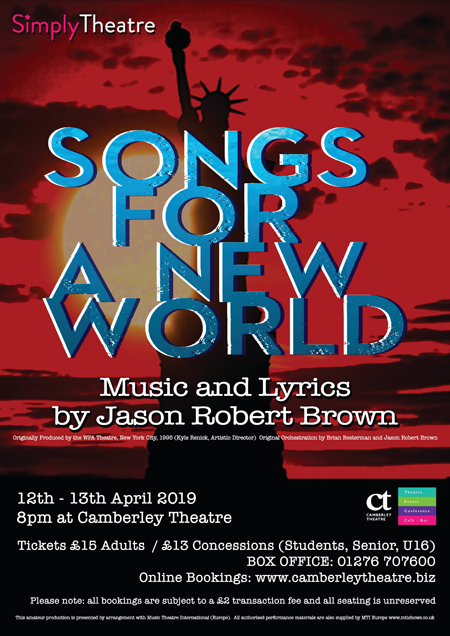 This time they bring a world premiere of a brand new adaptation of the Jason Robert Brown song cycle, Songs for a New World. The score provides a moving collection of powerful songs drawing on pop, jazz and gospel influences that examine life, love and the choices that we make, ...It's about one moment. All the songs from the cycle will be presented in two halves. Part One, set in 1940 at the Kabaret Neues Welt and Part Two set in 1948, depicting the journey of a group of migrants from Europe to America on board ship, prior to a run of Part 2 at the Edinburgh Fringe in August. The production will be performed with a professional band and a cast of 16 across the two parts. 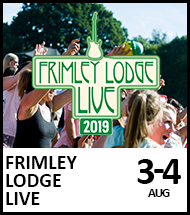 Direction and Adaption by Alison Lawrence, Musical Direction is by Danni Stembridge and Choreography by Polly King and Emma Hough. This is an amateur production is in association with MTI Europe.